FlowGuard Gold Pipe & Fittings Offer Luxury Home Builder a Consistent, Dependable Solution for Residential Plumbing | Lubrizol Advanced Materials, Inc.
As a premier builder of custom, luxury residential homes in the Milwaukee area, Kings Way Homes seeks out the best building products and solutions offered to ensure a quality, customized home its customers will cherish for years to come. Offering tangible benefits like corrosion resistance, reduced condensation and lower labor costs through a simplified installation process, Kings Way Homes has trusted FlowGuard Gold® piping systems to deliver the solutions they need. 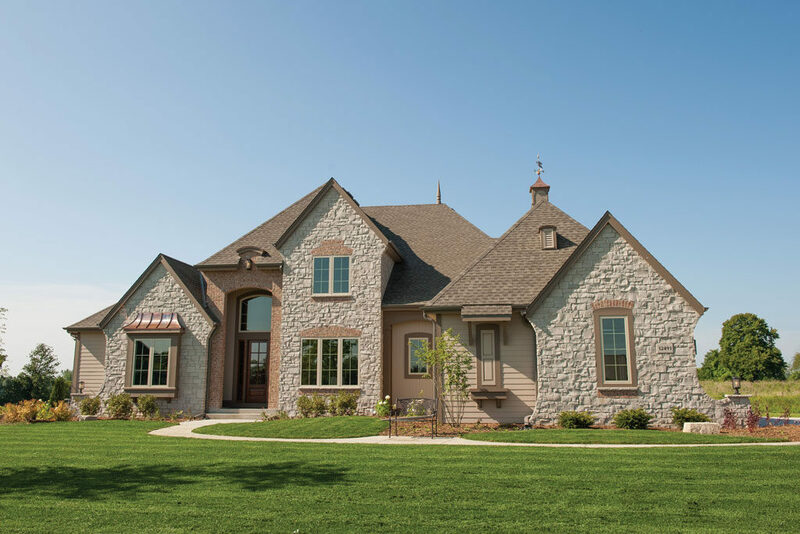 “We use it because we think it’s the right thing to do, and it’s the right product for nearly every home we build,” Christopher Moll, CEO, Kings Way Homes, said. Kings Way Homes has operated in the greater Milwaukee area for more than 40 years — and like many builders, they utilized copper as its plumbing material of choice for much of that history. Around the year 2000, however, Moll said the continuing rise in copper pricing, coupled with a perceived downturn in material quality, spurred him to investigate alternative solutions. Moll said that becoming educated about the product was important; getting more involved in the material selection and urging the use of FlowGuard Gold® piping systems was beneficial to Kings Way Homes’ business. “I’d recommend all builders become more familiar with the process,” he said. “We know the product, and we know it’s a quality product.” Rob Wage, co-owner of Alpine Plumbing, a plumbing partner of Kings Way Homes, has been working with FlowGuard Gold piping systems for more than 16 years and has witnessed the rise in CPVC piping system popularity among builders. “We’ve had many positive experiences working with FlowGuard Gold piping systems,” Wage said, adding the installation, cost and performance benefits have helped it become a preferred choice for plumbers. Moll said cost was a major factor in his utilization of FlowGuard Gold piping systems, noting CPVC’s pricing stability compared to the fluctuations that can happen in the price of copper. On top of material cost savings, FlowGuard Gold piping systems offer a clean, intuitive and flexible installation process that can help drive overall labor costs down. Utilizing FlowGuard Gold piping systems eliminates the need for prefabricating piping systems, as CPVC can be cut to fit sizing needs and solvent welded directly on site. Additionally, eliminating the need for welding or soldering offers a safer work environment and a more efficient process overall. 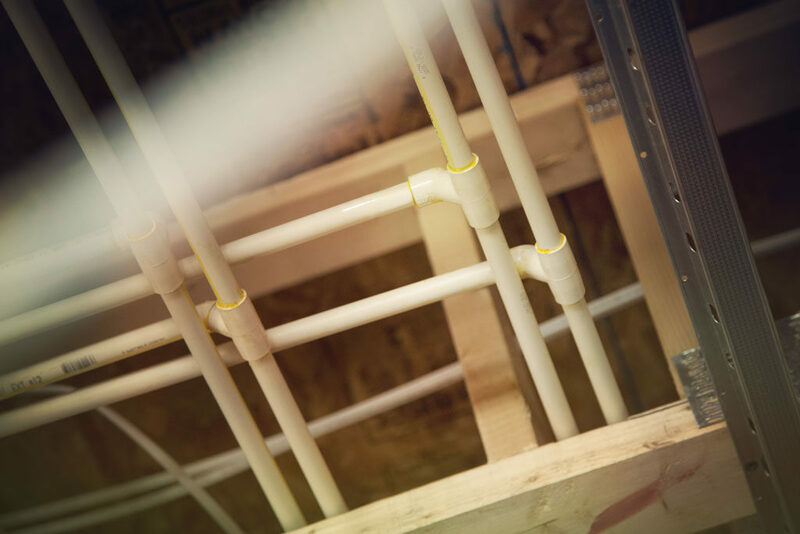 Moll estimates that Kings Way Homes builds around 30 homes per year — and the advantages of using FlowGuard Gold piping systems have added up for the company. “Sweating and dripping have been ongoing problems that builders have dealt with for years and years,” Moll says, adding that copper is particularly prone to sweating and dripping in climates that experience relatively high humidity levels like Milwaukee. “In that regard, copper was never a great product for our area, but it was the go-to product. And Moll’s homeowners appreciate the benefits that FlowGuard Gold piping systems bring to the table. Have more questions about using FlowGuard Gold CPVC systems? Contact us or call 855.735.1431 to speak with a piping systems consultant.